It's flattering to be named as the No.1 side in the world, says Heather Knight. England captain Heather Knight: “It’s flattering to be named as the No. 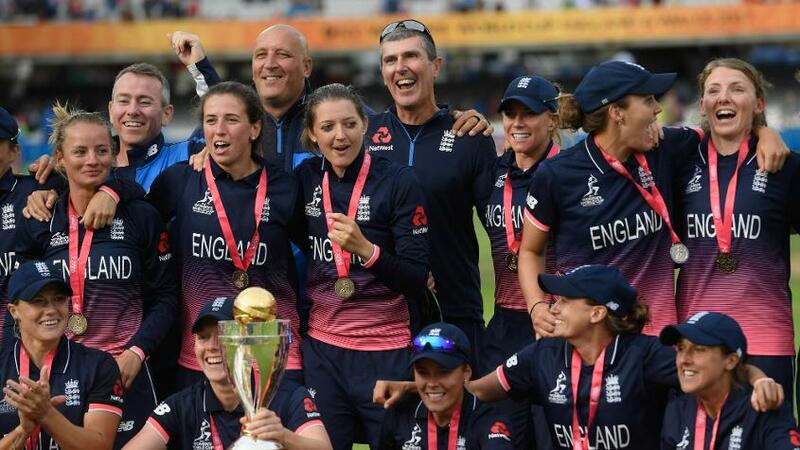 1 side in the world because it’s a sign of how much progress we’ve made"
Interest in the upcoming Ashes series was enhanced significantly after England dethroned Australia from the top position in the MRF Tyres ICC Women’s Team Rankings for the first time following the annual rankings update. England are now level with Australia on 128 points but ahead on decimal points after the annual update, following which results from the 2013-14 season are no longer included. The rankings now take into account 2014-15 and 2015-16 seasons at 50 per cent each while the 2016-17 season accounts for 100 per cent. Heather Knight-led England, who won the ICC Women’s World Cup earlier this year, have climbed from 125 points to reach 128.47 points. Australia are on 128.43 points, slipping from the top spot for the first time since the combined women’s rankings were introduced in October 2015. Since the women’s team rankings take into account performances in all three formats, the small gap of 0.04 points between the two sides will lend a lot of interest to England’s tour of Australia, where the top two sides will play one Test, three ODIs and three T20Is from 22 October to 21 November. 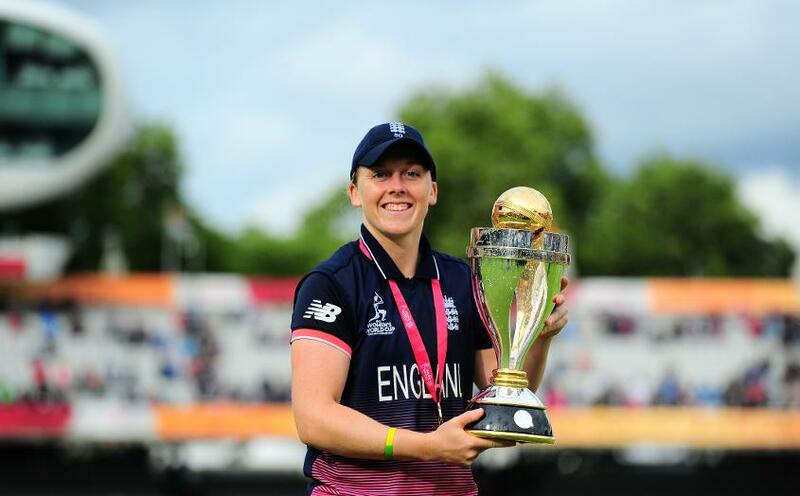 England captain Heather Knight: “It's flattering to be named as the No.1 side in the world because it's a sign of how much progress we've made. “It won't take anything away from the challenges ahead of us, though. We're a developing side and our journey isn't finished yet. "We have plenty more hard work to do, starting with the Ashes in Australia this winter but it has been a great 12 months for us. We'll never forget the feeling of winning the ICC Women's World Cup on home soil and we want to keep pushing forward as a side so we can experience more moments like that." "It's flattering to be named as the No.1 side in the world because it's a sign of how much progress we've made" - Heather Knight. England and Australia are the only sides to see a change in the rankings with New Zealand retaining third position with their pre-update tally of 118 points. India, who reached the final of the ICC Women’s World Cup, remain in fourth place but have gained three points to reach 116 points and with New Zealand firmly in their sights. India captain Mithali Raj: "Gaining these valuable points is no mean achievement and have come after some fine performances over the past year, including at the World Cup. I'm sure this will inspire our team in matches ahead. 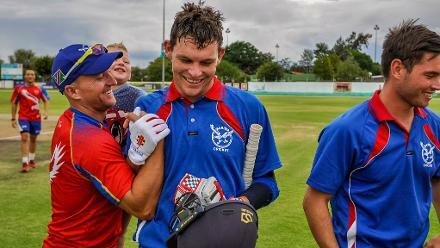 "We are now close to New Zealand in the rankings and will aim to be number three." The Windies are in fifth position but have lost four points to be at 101 points, South Africa remain in sixth position and on 93 points, Pakistan have lost one point and are on 72 points while Sri Lanka too are unchanged in points to take eighth position with 67 points. Bangladesh (37) and Ireland (30) are the bottom two sides on the points table.